U.S. District Court judge Willian Alsup imposed $4.2 million in damages against former police officer Michael Ray Aquino last July 22. This case stemmed from a complaint filed by siblings Carina Dacer, Sabrina Dacer-Reyes, Amparo Dacer-Henson and Emily Dacer-Hungerford against Michael Ray Aquino for political torture and killings in the Philippines. In the said case, the court said that the defendant failed to appear in more than eight hearings, including the pre-trial, for which reason Aquino was declared in default. The plaintiffs were granted the said damages under the Torture Victim Protection Act. It will be recalled that Salvador “Bubby” Dacer, a Bicolano who hails from Presentacion, Camarines Sur, was a known publicist in the Philippines, and the father of the aforementioned complainants. 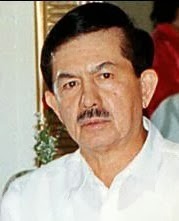 Dacer was brutally killed, along with his driver in November 2000, shortly after he was summoned to the Presidential Palace. He was suspected to have been involved in pushing for the impeachment of the then President and now Manila mayor Joseph Estrada. In 2001, the Justice Department filed with the Manila court double murder charges against Philippine National Police (PNP) Officials, including Aquino and Cesar Mancao for Dacer’s and his driver’s death. Aquino and Mancao fled to the United States that same year, however, where they found work. Both are former close aides of ex-Senator Panfilo Lacson, who was chief of the PNP and is now in charge of the Aquino government’s post-Yolanda rehabilitation program. Eventually, Mancao was extradited to Manila, but Aquino tried to resist all efforts to extradite him to the Philippines. In 2005, he was arrested in New Jersey over an expired Visa. U.S. authorities later charged him for a separate case: espionage. He was discovered to have transmitted classified U.S. documents to the Philippines. Aquino’s detention at the New Jersey Federal Prison emboldened the daughters of Dacer, who were already based in the U.S., to seek justice. In 2010, the Dacer siblings filed a $60 million damage suit against seven former Philippine officials, including Estrada, Lacson, and Aquino. The case was based on the Torture Victim Protection Act, which allows American courts to hear cases of human rights abuses filed by non-citizens against officials of a foreign government for abuses committed anywhere. Those who filed the case were Carina Dacer, Sabrina Dacer-Reyes, Amparo Dacer-Henson and Emily Dacer-Hungerford. Aquino was extradited to the Philippines in 2011. He was jailed in the National Bureau of Investigation (NBI), but was eventually released in 2012, after a Manila Regional Trial Court dismissed the murder case against him. Following Judge Alsup’s ruling, Aquino will not be able to enter the U.S. unless he has paid the $4.2 million to the Dacers. Judge Alsup said that the $60 million was excessive, and granted only less than a tenth of that figure.